Do you live in South Florida and believe nonhumans deserve to live free from human-inflicted pain and suffering? You’re not alone! 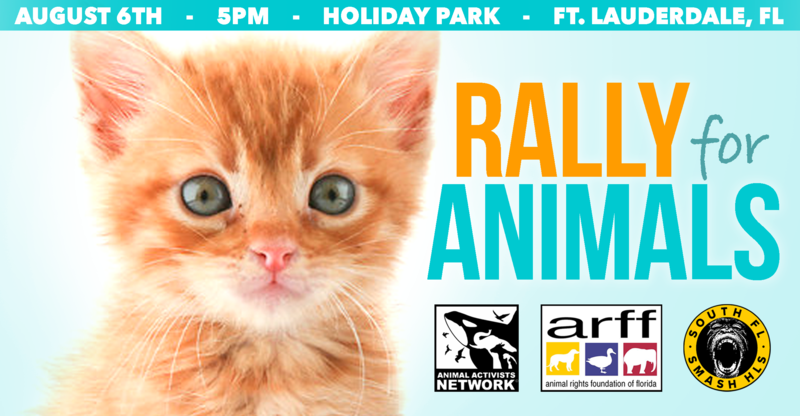 We, along with Animal Activists Network and the Animal Rights Foundation of Florida, invite you to a day of grassroots action on behalf of animals worldwide. Bring signs, make some noise, enjoy snacks with new friends, share ideas, and plug into the local animal liberation movement! My Goddaughter showed me some videos of what these savages are doing to these primates, and I couldn’t watch. Very disturbing.